The Canoe Club Ballroom is happy to be a leading Boston, Massachusetts wedding venue since 1964. Located roughly 30 miles south of Boston, MA, the Canoe Club Ballroom has been a popular place for couples all across New England to have their weddings. Boston is an amazing city, and we are blessed to encapsulate what makes the area so special. Being one of the larger cities in the country, we are part of Boston's suburbs and commuting towns. Creating the Boston experience with a suburb price tag allows the Canoe Club Ballroom to remain affordable so more couples can take advantage of what our wedding venue has to offer. 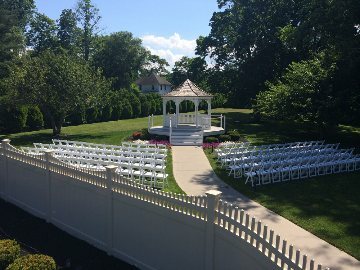 The amenities at the Canoe Club Ballroom includes a beautiful courtyard, interior ballroom area, and picture perfect outdoor ceremony location. The Canoe Club Ballroom website has almost everything you need to inquire about our location and what we can offer you on your special day. We offer inexpensive and affordable packages for Boston couples. Our interior and exterior is also newly renovated and provides the top notch elegance that you are looking for for your special day. If you live in Boston or in a surrounding town, please feel free to us at the Canoe Club Ballroom for more information. We are happy to chat via phone - 508.588.4747, Text - 508.521.9864, or Email - CanoeClubBallroom@gmail.com.